Preheat oven to 350°. Combine flour, salt and baking powder in a mixing bowl. Add the olive oil. Using your hands sift the flour and oil between your hands to thoroughly blend. Add the Edensoy and mix with a spoon. Roll the dough out onto a floured surface until 1/2" thick. Cut the biscuits into 2" to 2 1/2" rounds and place on a lightly oiled cookie sheet. Bake for 20 minutes or until slightly golden. Heat the syrups in a small saucepan on very low. 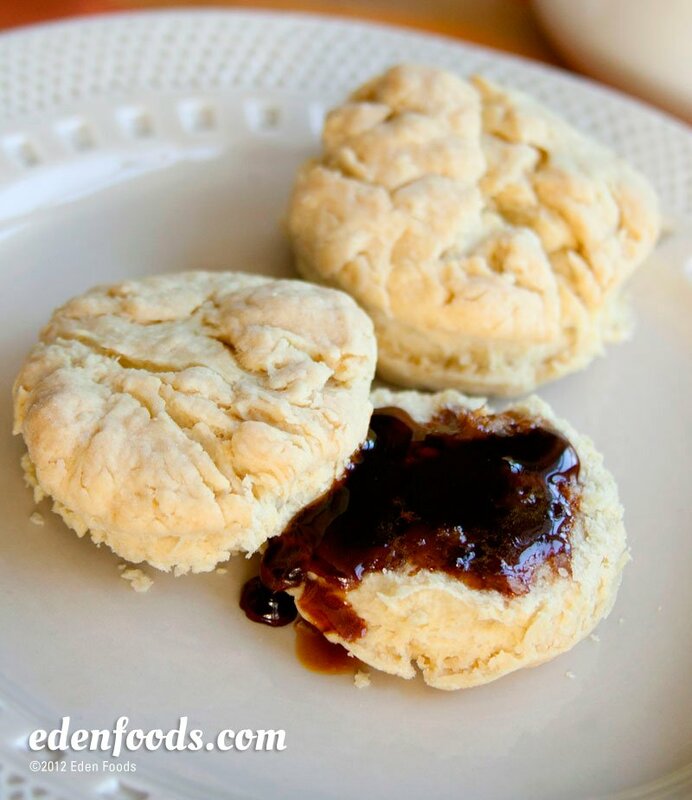 When the biscuits are done remove, slice and lightly drizzle with sweet sorghum.